PTFE coatings are the first choice where low friction, non-stick, dry lubrication or corrosion resistance are required. Commonly referred to as Teflon® or Xylan®, the coatings that we apply are high performance fluoropolymers which give unique improvements and solve many problems by modifying the surface properties of the original part. There are many other applications and industries where PTFE coatings provide improvements. As well as PTFE coatings, we also apply PFA and FEP coatings, either as a pure fluoropolymer or in a wide range of formulations which are blended with resins and pigments to suit countless applications. PTFE Coatings is a well established and trusted applicator of the most comprehensive range of Xylan® and Teflon® coatings. We have a full range of fluoropolymer coatings available to suit all applications. 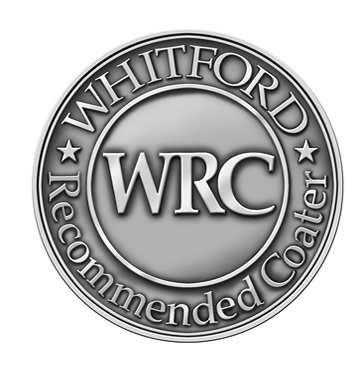 PTFE coatings have been applied at our Petworth facility for over thirty years and we have ISO9001:2015 certification. The range from DuPont is more widely recognised as Teflon® and Whitford manufacture the very comprehensive Xylan® range of coating systems. We also have coatings available from Acheson, Dow Corning and other formulations for more specific applications. Technical knowledge is our key strength. We are one of only a handful of companies that specialise exclusively in the application of fluoropolymer coatings. The length and breadth of our experience will enable us to swiftly and efficiently present the best solution for you. Experience gives us a remarkable knowledge of the capabilities of fluoropolymer coatings. That experience helps us to make the right choice for you – giving the best solution to add value to your process. As this list suggests, the coatings that we offer modify and improve the properties of surfaces. There are hundreds of different formulations available, each one designed to suit a certain range of applications. For this reason, it is crucial that the correct type of coating is selected. That is where the value of our knowledge and experience comes into play to ensure that we present the best way to meet your requirements. We focus on the most effective solution for our customers. We do this by listening carefully and then by using our technical expertise and wide range of coating systems available, we can explain the options that are available and select the most suitable application. 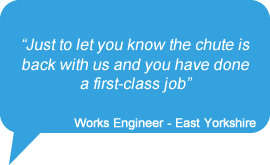 We are always happy to visit your site for a face to face discussion or to view the application so that we can identify the best way forward. Working closely with our customers, we can thoroughly analyse all aspects of the process to determine the root cause of the problem, so that we can offer the most appropriate solution. Decades of experience within the industry enable us to have a very clear understanding of the capabilities of each coating system or combination of systems. We can then select a system to enable us to reach the perfect solution for your problem. There are an almost infinite combination of circumstances where coatings are used and needed and there are so many factors that can affect the type of coating selected. That’s where the technical knowledge, experience, creativity and passion of PTFE Coatings come into play. We offer tailored solutions to meet your specification, whether your requirements are for a one-off or for larger production volumes. We are able to apply very accurate film thicknesses, in some cases to within +/- 5 microns, depending on type of coating and geometry of the part. One of our key attributes is that we work with designers and process engineers through product concept and initial design to determine the correct solution at the outset. This is an important point as in some cases, when a coating is specified, cumulative tolerancing, material selection and assembly activities can be overlooked, causing potentially expensive re-design and manufacturing alterations after the product or component has been commissioned.